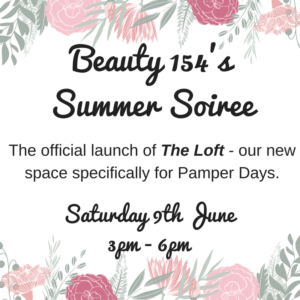 Join us on Saturday 9th June for a glass of fizz as we officially open The Loft – our exclusive space to host luxury pamper days. There’ll also be treatment demos and special offers on the day and we’d love to see you there. There’ll also be a raffle, 10% off all product purchases as well as microblading consultations and Dermalogica Skin Mapping analysis.